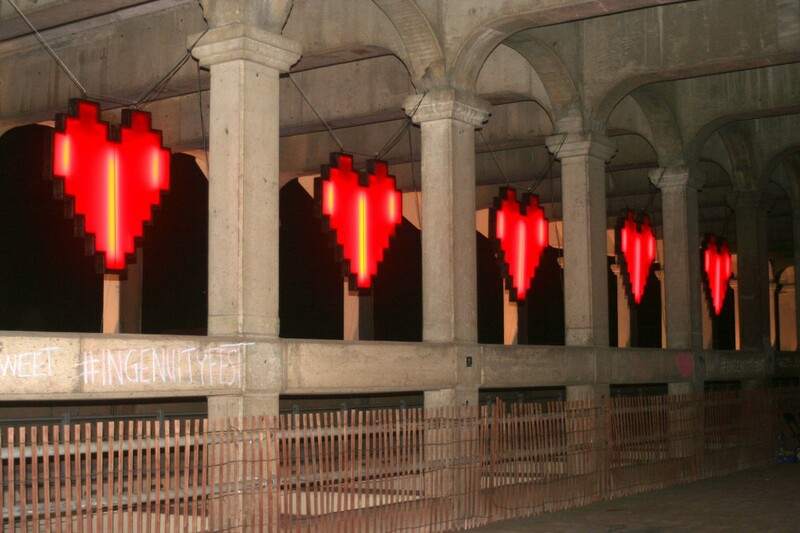 iheart is a site specific installation that behavorially changes on twitter hashtags that have been published.The hearts light up based on the amount of human current and flow. 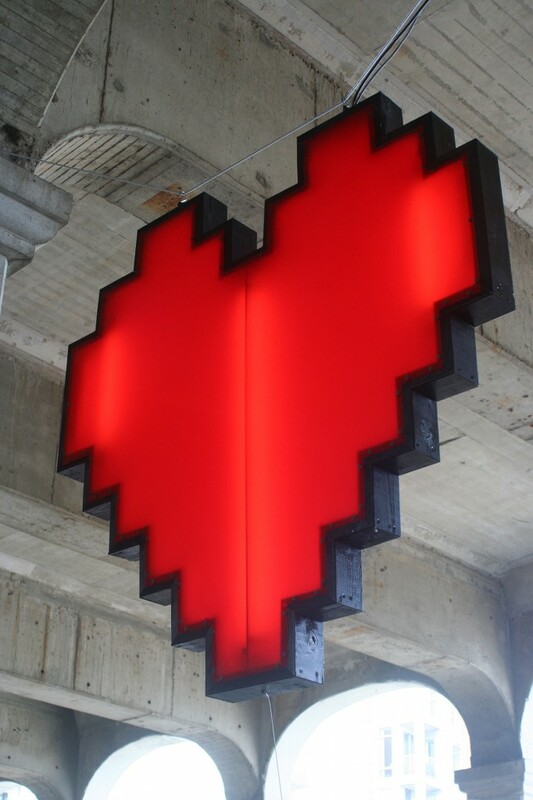 Each 1/2 of a heart lights up once a certain number of tweets has been reached. 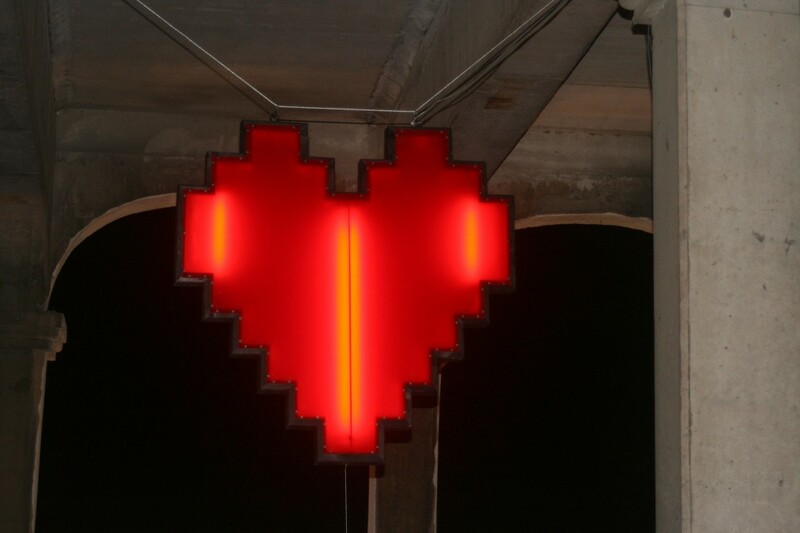 iheart can be adapted to any hashtag chosen and can therefore continue to be shown at different venues. 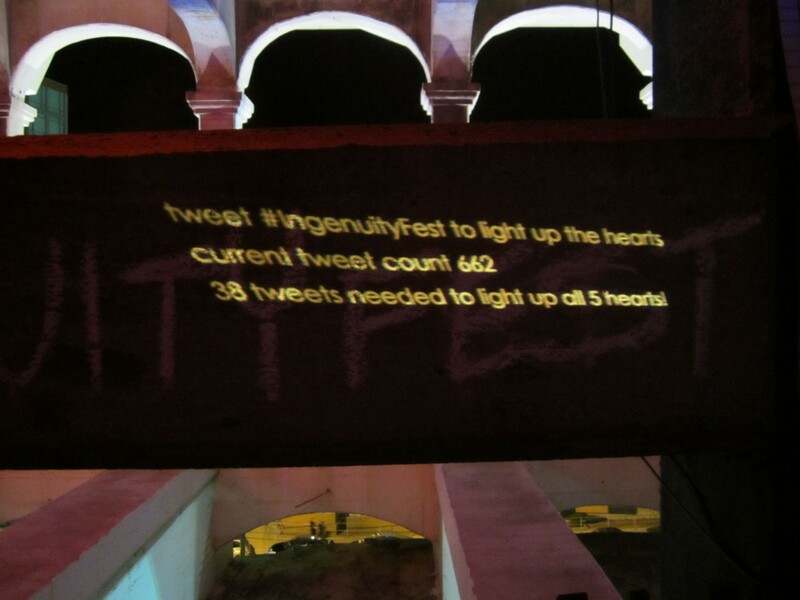 The original installation counted the number of ingenuityfest tweets based on the hashtag #ingenuityfest as it was installed at the 2011 ingenuityfest in Cleveland. 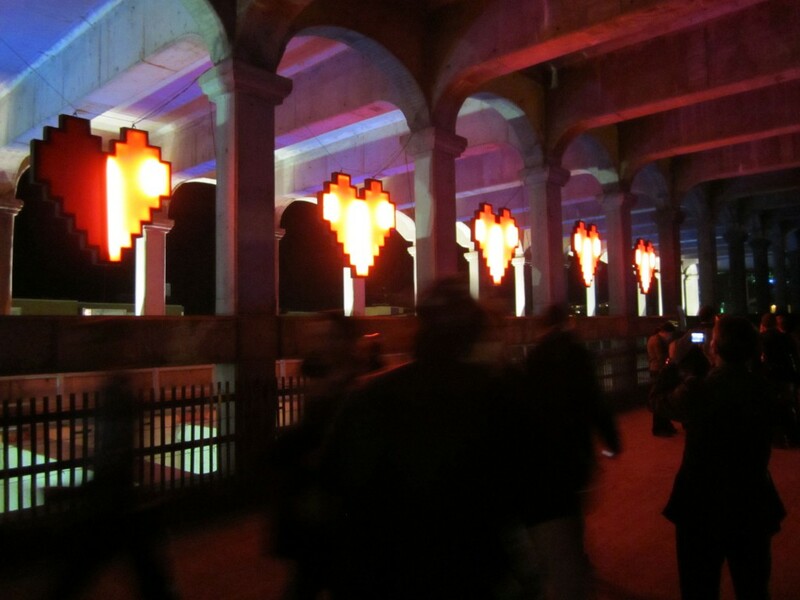 30,000 spectators lit up all 5 hearts in 3 days with a total of 1000 unique tweets. The work is currently installed in the Akron Public library downtown Akron until August 2017.